I use this book as a guideline. I have been making Levain from the Tartine Bread book almost every day for the past two years, and I could not wait to get my hands on this book. I created my own standard recipe charts and I mix with my hands I have learned to judge the water flour ratios. I use the flours I have on hand and many times there is a little of this and that. I do not stick to the book however the book has unquestionably taught me how to make variations on the classic Levain. I am making sprouted grain breads (whatever is on hand) and various versions of Rene's rye (depending on what I have on hand) every week. PS, I cook lunch and dinner for 20 to 100 people five days a week. I am not a "home cook" although I work in a community home. This is the best bread of this style (dense pan loaf with lots of seeds and grains) that I've made. The majority of the flour is wheat (spelt), so it doesn't have the gumminess/heaviness that mostly rye versions (like vollkorntbrot) can have. The bread is nutty and chewy from the seeds and grains, and has great depth of flavor from the sourdough, buttermilk, and beer (!) in the formula. Definitely takes some planning ahead--the rye berries need to be sprouted (mine took two days), then the dough is mixed, goes through a first rise with stretch and folds, is put in pans, rises a couple of hours more, and retards in the fridge overnight. I knew mine was going to be in the fridge for about 18 hours, so I only did a one-hour rise in the pan at room temp--this worked well. He says to cover with a dry towel in the fridge, but I had better luck with plastic wrap (otherwise the top dries out). My only issue is that the crust (especially the top crust) is a bit too crunchy. This recipe does NOT work. It will make a biscuit, but there is no honey or chamomile flavour, nor is it crumbly like a shortbread. It cannot possibly have been recipe-tested prior to publication. And that was using pslopegreg's post for extra guidance too. More importantly -- and this is why I think this book is a valuable addition to any cookbook collection -- Tartine 3 has changed the way we think about flour. 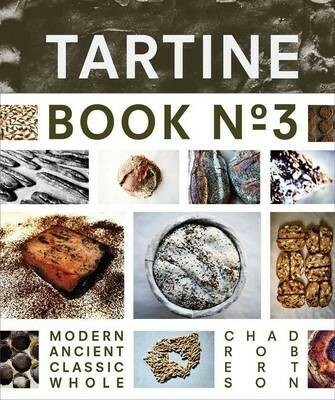 The third in a series of classic, collectible cookbooks from Tartine Bakery & Cafe, one of the great bakeries, Tartine Book No. 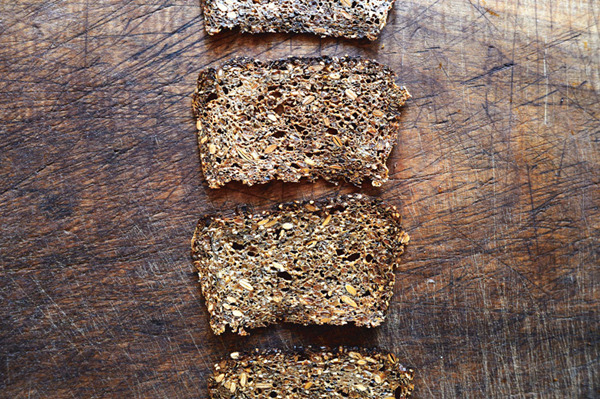 3 is a revolutionary, and altogether timely, exploration of baking with whole grains. 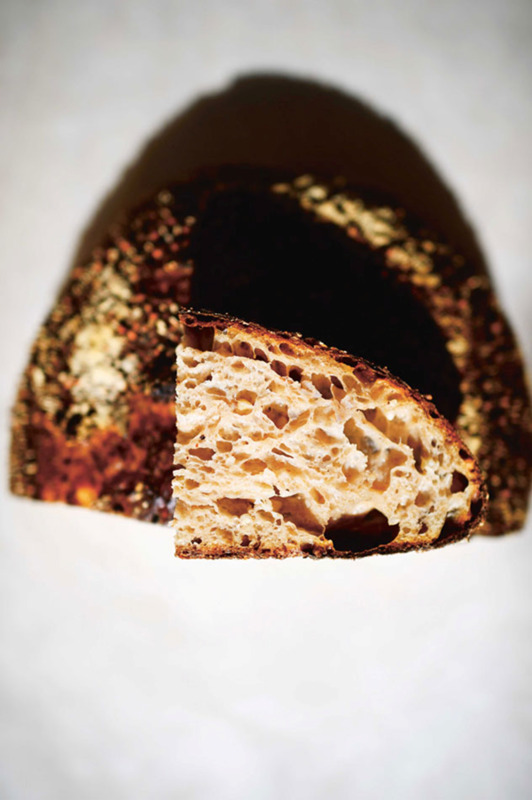 The narrative of Chad Robertson's search for ancient flavors in heirloom grains is interwoven with 85 recipes for whole-grain versions of Tartine favorites. Robertson shares his groundbreaking new methods of bread baking including new techniques for whole-grain loaves, as well as porridge breads and loaves made with sprouted grains. This book also revisits the iconic Tartine Bakery pastry recipes, reformulating them to include whole grains, nut milks, and alternative sweeteners. More than 100 photographs of the journey, the bread, the pastry and the people, make this a must-have reference for the modern baker.